Robert Stempel College of Public Health and Social Work — in collaboration with Universidad de Córdoba and Universidad Tecnologica del Choco Diego Luis Cordoba, both in Colombia — has been awarded a $3 million grant to evaluate the degree of contamination throughout the river basin and how it is impacting the health of local populations. An FIU delegation recently visited the COLCIENCIAS headquarters in Bogota, Colombia. The FIU portion of the project will be led by Carlos Espinal, director of the Global Health Consortium; Tomás R. Guilarte, dean of Stempel College; and Piero R. Gardinali, marine environmental toxicologist and professor in the College of Arts, Science & Education. The project is being funded by COLCIENCIAS, Colombia’s administrative department of science, technology and innovation, the government agency supports fundamental and applied research in the country. The goal of the project is to evaluate the health conditions of the population that lives in the Atrato River Basin and their relative exposure to environmental contaminants resulting from both legal and illegal gold mining. The project will include surveying more than 6,000 local inhabitants of the area, testing their hair, blood and urine. The project will also test local water, sediments, plants and food sources such as fish. 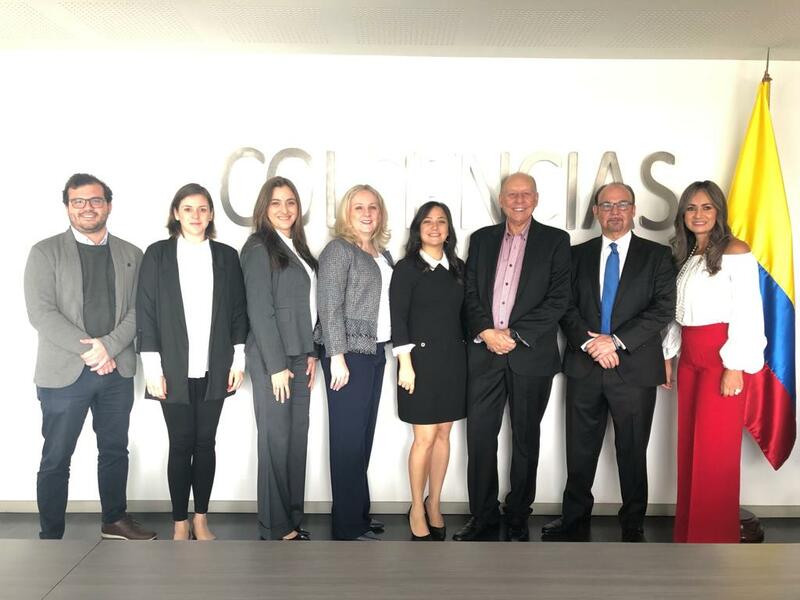 On a recent trip to Colombia, both Guilarte and Espinal met with COLCIENCIAS to discuss possible future collaborations between the organization and Stempel College. The Atrato River is the largest river in Colombia with more than 150 tributary rivers and 3,000 streams. It is a natural wonder with immense reserves of gold, silver and platinum. The highly impoverished region is home to a predominately Afro-Colombian population that has been found to suffer from disproportionate levels of cancer and neurodegenerative diseases such as Alzheimer’s disease and Parkinson’s disease, that are believed to be the result of exposure to the chemicals used for mining and lack of clean water in the region. According to Mercury Watch, Colombia is the country with the highest rate of mercury and cyanide contamination in America, and a third of its total 180 tons per year are poured into the Atrato River. In 2018, a landmark decision by the Colombian government ruled that the Atrato River Basin has the rights to protection, conservation, maintenance and restoration. As part of the ruling, the government is working to locate the sources of contamination and hold responsible parties accountable for their actions.